The Beatles 50 Years Ago Today: February 9, 1967. Beatles Radio: The Beatles, Solos, Covers, Birthdays, News The Fab 4 and More! The Beatles' first EMI session at a British studio other than Abbey Road. Regent Sound was one of the few independently owned facilities in London at this time. 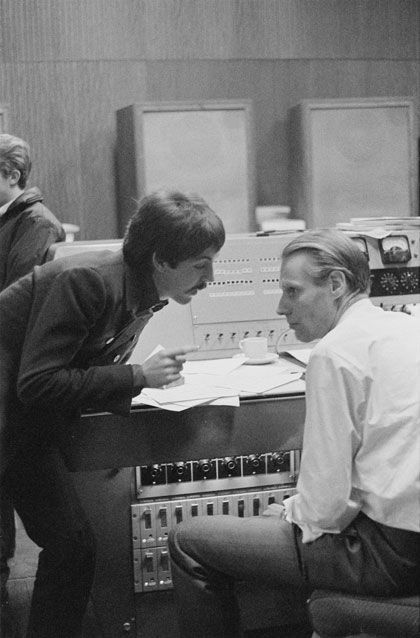 No longer a member of EMI staff, George Martin was free to travel with the Beatles, but balance engineer Geoff Emerick and the usual crew of Abbey Road tape ops were all EMI employees so they couldn't go along. Adrian Ibbetson, chief engineer at Regent Sound, filled Emerick's role for this session, in which three takes of Paul's new song "Fixing A Hole" were recorded, the second being "best". (Start and finish times for the session weren't noted down).